Welcome to the last 2.6 million years! Knowledge of the palaeoenvironment and palaeogeography of the recent geological past is fundamental to our understanding of modern physical, biological and human environments. 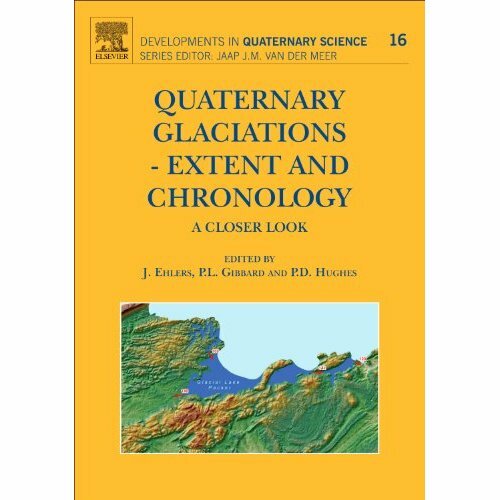 Understanding this period, the Quaternary, is the central focus of research in the Quaternary Palaeoenvironments Group (QPG). The Quaternary, the last 2.6 million years of geological time, saw major climatic changes which caused ice sheets to advance into temperate latitudes. Repeated glacial episodes caused significant fluctuations in sea level, major geographical changes and major plant and animal population migrations. Sedimentary sequences record these changes in great detail and are central to unravelling past events. Relevant seminars: QPG, Quaternary Discussion Group , Specials, Department of Geography, other Cambridge departments. Drawings of the Quaternary of the North-east coast of Norfolk.a series of downloadable images by G.Slater, C.Green and others. Controls on interglacial sedimentation in lowland British rivers. within the Department of Geography , University of Cambridge . The Columbia University professor and researcher died on Monday, according to a spokesman for the University's Lamont-Doherty Earth Observatory. He had been ill in recent months. At the Annual General Meeting in Chester on 4 January 2019 Phil was appointed an Honorary Member of Britain's Quaternary Research Association. Phil first joined the Association in 1971 and has since served on the Executive Committee as Secretary, Vice-President and Journal Editor. We are sad to announce the death on 26 June 2018 of the eminent Dutch palynologist and stratigrapher Professor Waldo Zagwijn. Details are available here. 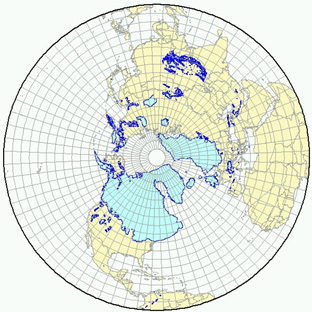 It has been announced that the proposals for the subdivision of the Holocene Series/Epoch (11 700 years ago to the present day) into three stages/ages and their corresponding subseries/subepochs by the International Subcommission on Quaternary Stratigraphy (ISQS) (a subcommission of the International Commission on Stratigraphy – ICS) have been ratified unanimously by the International Union of Geological Sciences (IUGS). The subdivisions now formally defined are: 1. Greenlandian Stage/Age = Lower/Early Holocene Subseries/Subepoch. Boundary Stratotype (GSSP): NorthGRIP2 ice core, Greenland (coincident with the Holocene Series/Epoch GSSP, ratified 2008). Age: 11,700 yr b2k (before AD 2000). 2. Northgrippian Stage/Age = Middle/Mid-Holocene Subseries/Subepoch. Boundary Stratotype (GSSP): NorthGRIP1 ice core, Greenland. Global Auxiliary Stratotype: Gruta do Padre Cave speleothem, Brazil. Age: 8326 yr b2k. 3. Meghalayan Stage/Age = Upper/Late Holocene Subseries/Subepoch. Boundary stratotype (GSSP): Mawmluh Cave speleothem, Meghalaya, India. Global Auxiliary Stratotype, Mount Logan ice core, Canada. Age: 4250 yr b2k. Further details. We are delighted to report that Phil Hughes, our ex-research student, has been promoted from his Readership to a Professorship in the University of Manchester. Many congratulations, Phil! Geologists are scouring the planet for a specific location to place a 'golden spike' - to define the beginning of the Anthropocene, a new geological era. Where are the candidates? We have detailed 20th-Century records of all sorts of chemical and biological signals, which means scientists are spoiled for choice when it comes to selecting a locality to use to define the Anthropocene. But it's a double-edged sword. They might use a surge in radioactive plutonium near the year 1950 to mark the boundary – but many other chemical signals didn't change very much between the 1940s and 1950s. 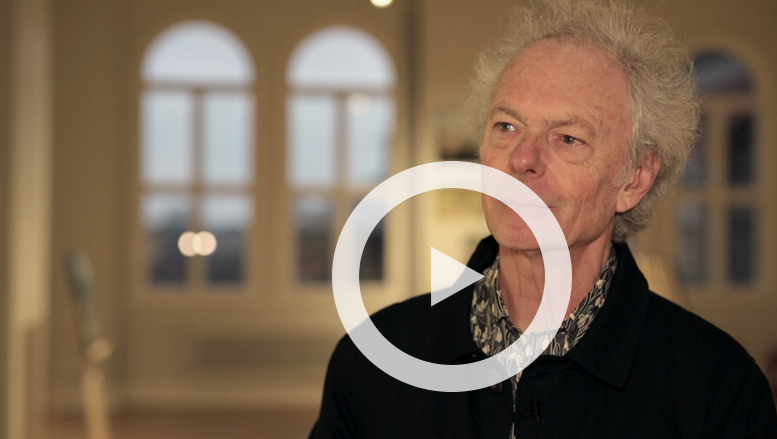 "Some things changed across that particular 'boundary' and some things didn't," says Phil Gibbard. A new BBC webpage presents the details. New evidence from the floor of the Dover Strait helps paint a picture of how the island has repeatedly separated from and rejoined the European continent. Published on 7 Jun 2017 the Physics Today website by Phil Gibbard. We are very sad to report that our great friend and colleague Dr Wim Westerhoff of the Netherlands' Geological Survey TNO died on Saturday 13 May 2017. Wim graduated in Quaternary geology and lowland evolution at the Vrije Universiteit, Amsterdam. 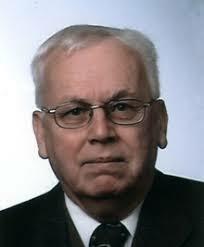 He worked at the Geological Survey of the Netherlands since 1980. Initially he was employed as a field geologist in geological mapping, and latterly as manager of mapping and applied geoscientific studies. His research focused on Tertiary and Quaternary geology. He will be greatly missed. 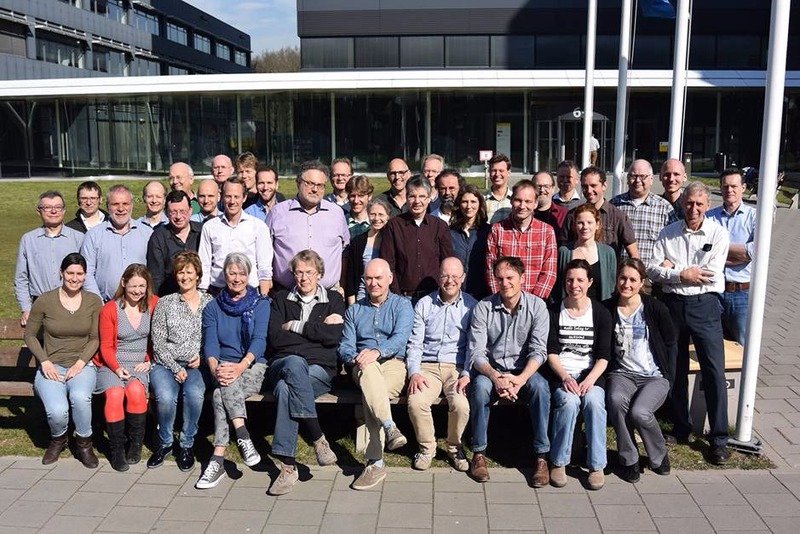 To enlarge Wim's picture with his TNO colleagues in April 2017, please click on the image. 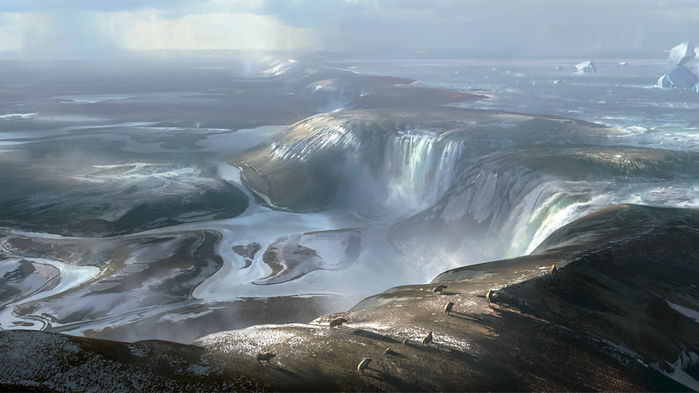 The original Brexit: how tremendous ice age waterfalls cut off Britain from Europe - Manche. Un Brexit préhistorique! It is also reported in Der Spiegl, the New York Times and Le Monde. See also report above. 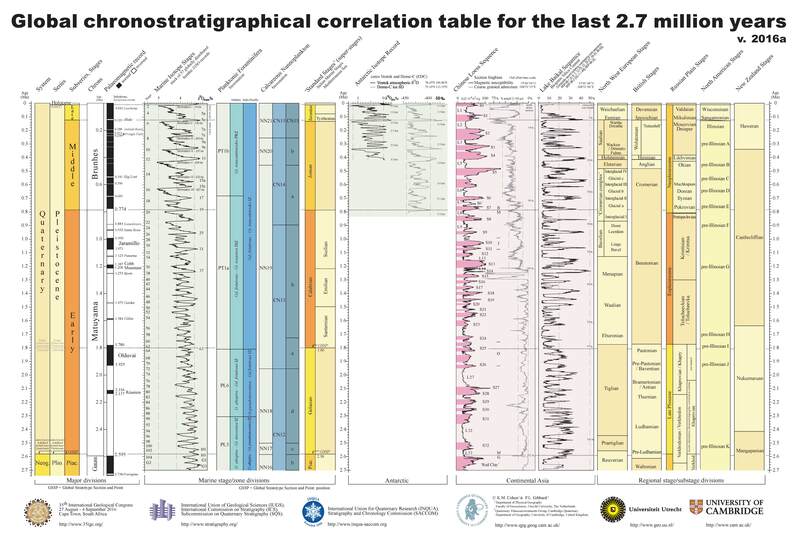 The 2016 version of the Global chronostratigraphical correlation table for the last 2.7 million years by K.M.Cohen & P.L.Gibbard is now available from the INQUA-SACCOM and ICS Subcommission of Quaternary Stratigraphy websites. IUGS position statement on the 'Anthropocene' - The 'Anthropocene' Epoch: scientific decision or political statement? Despite what the media may have suggested, the 'Anthropocene' is not a formally defined geological unit within the Geological Time Scale. However, the term has been used by scientists and has been particularly useful for the global change research community. 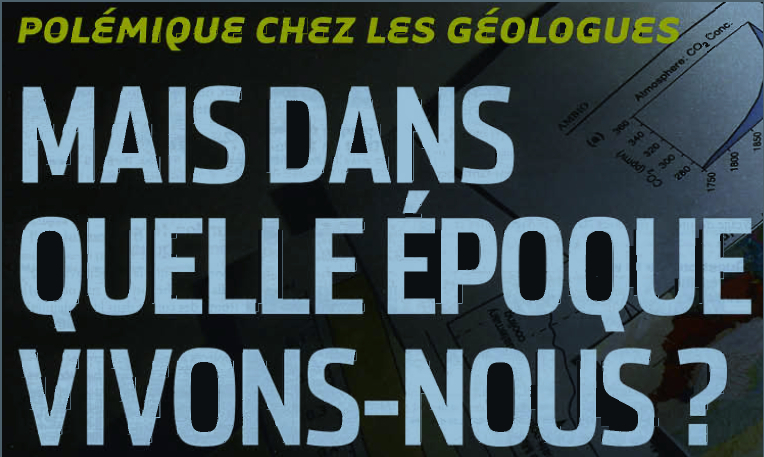 The formalisation of this unit is the task of the working group on the Anthropocene under the IUGS International Commission on Stratigraphy (ICS). To date, no formal proposal for this unit has been presented by the working group to ICS leaders. 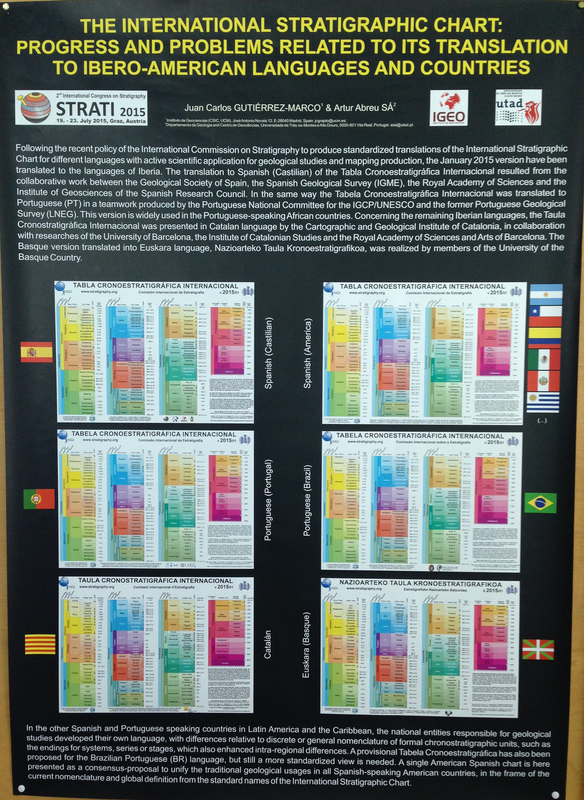 The activities of the ICS are conducted under 16 subcommissions, whose members work on specific, longer-term scientific tasks such as the standardisation of stratigraphic units, the documentation and communication of major stratigraphic data to the global earth-science community, and international stratigraphic cooperation. All decisions of the full ICS Commission, comprising over 2000 members in total, are subject to ratification of the IUGS Executive Committee. In their article 'Anthropocene' epoch: Scientific decision or political statement? ICS Chairman Stan Finney and Lucy Edwards (Commissioner, North American Commission on Stratigraphic Nomenclature) express their concern that the drive to formalise this particular unit of geological time may be political. It is a pleasure to announce that Ms Samia Akram has been awarded a PhD degree by Punjab University following approval of her thesis entitled 'Palynology of the Early Jurassic Sediments (Datta Formation) Salt Range, Pakistan' (Lahore: Saturday, 20 February, 2016). Ms Akram visited the QPG laboratories for six months during her thesis research. 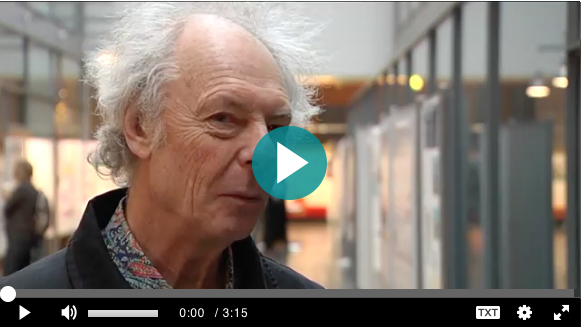 Phil Gibbard interviewed 13.1.2016 in Helsinki for YLE News on the 'Anthropocene'. Ihmisen mukaan nimetty aikakausi on ehkä alkanut maapallolla – suurin muutos sitten jääkauden (The era named after Man may have begun on Earth - the biggest change since the Ice Age). Environmental Damage Is Bad Enough To Create A New Geologic Period by Alejandro Davila Fragoso 7 January, 2016. Climate Progress. Human impact has pushed Earth into the Anthropocene, scientists say. 8 January, 2016. The Guardian. 'Case is made' for Anthropocene Epoch. by Jonathan Amos Science correspondent BBC News, 8 January, 2016. Is our planet entering a new geological epoch? The Christian Science Monitor 8 January 2016. Helen Gordon asks whether humanity's impact on its environment so huge that the planet has entered a new geological era: the Anthropocene? The idea is gaining ground – and dividing scientists. PhD student Simon Price has been awarded a Future Cities Prize Fellowship to present his ideas of what cities will be like at the first annual Future Cities conference in July 2016. 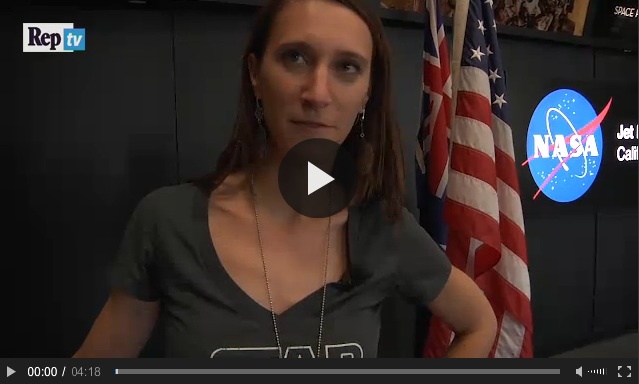 Emma Gatti: an Italian scientist at NASA - "I try to find water on Mars". Emma Gatti, from Milan, is a geochemistry and vulcanologist who, after her doctorate at Cambridge, has landed at NASA where she is searching for water on Mars. 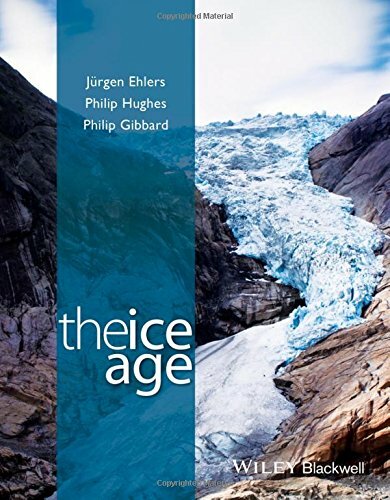 The Ice Age book provides a look at the climatic history of the last 2.6 million years during the ice age, a time of extreme climatic fluctuations that have not yet ended. The book focuses on the changing state of these glaciers and the effects of associated climate changes on a wide variety of environments (including mountains, rivers, deserts, oceans and seas) and also plants and animals. For example, at times the Sahara was green and colonized by humans, and Lake Chad covered 350,000 km2 larger than the United Kingdom. What happened during the ice age can only be reconstructed from the traces that are left in the ground. The work of the geoscientist is similar to that of a detective who has to reconstruct the sequence of events from circumstantial evidence. The book is published on 27 November 2015. 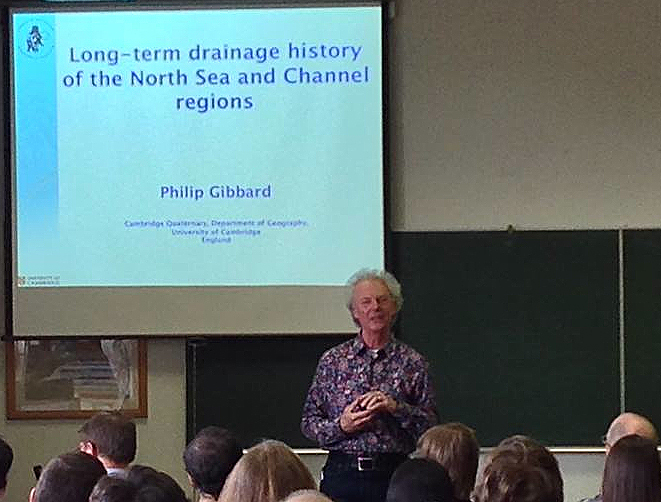 Phil Gibbard has been appointed the Secretary-General of the International Commission on Stratigraphy 2016-20. The new ICS executive will be installed at the 35th International Geological Congress in Cape Town, South Africa in summer 2016. 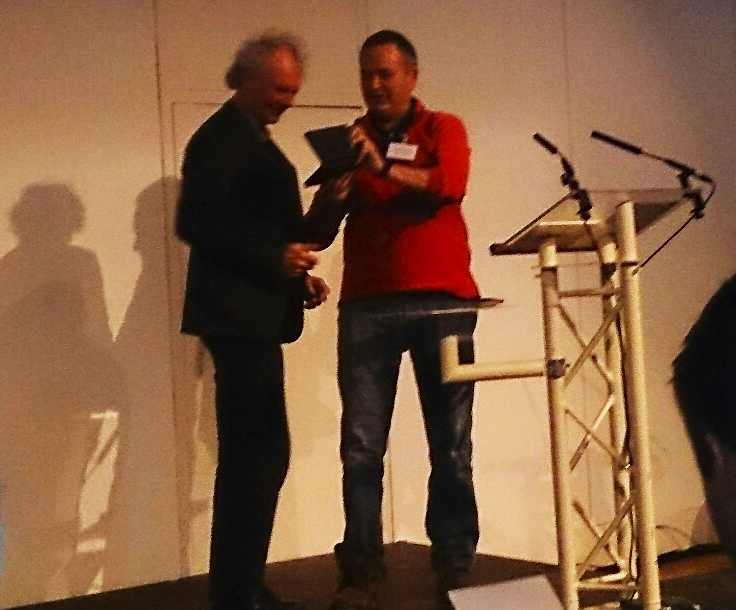 Professor Phil Gibbard was awarded the prestigious James Croll Medal 2014 by Quaternary Research Association at the QRA's 2015 Annual Discussion Meeting in Edinburgh on 6 January 2015 by the President, Professor Peter Coxon. (photograph by Kim Cohen). 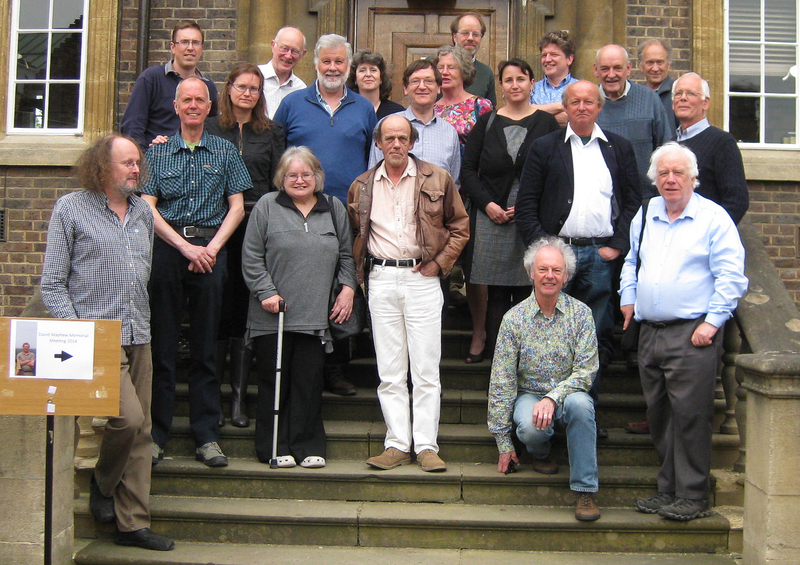 Participants at the David Mayhew Memorial Meeting held at the Department of Geography, University of Cambridge on 17 April 2014. 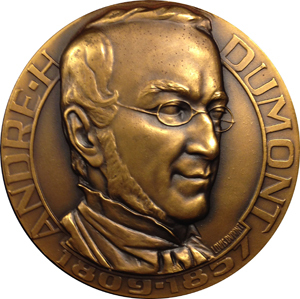 Professor Phil Gibbard has been awarded the prestigious André Dumont Medal by Geologica Belgica, the Belgian national geological society. 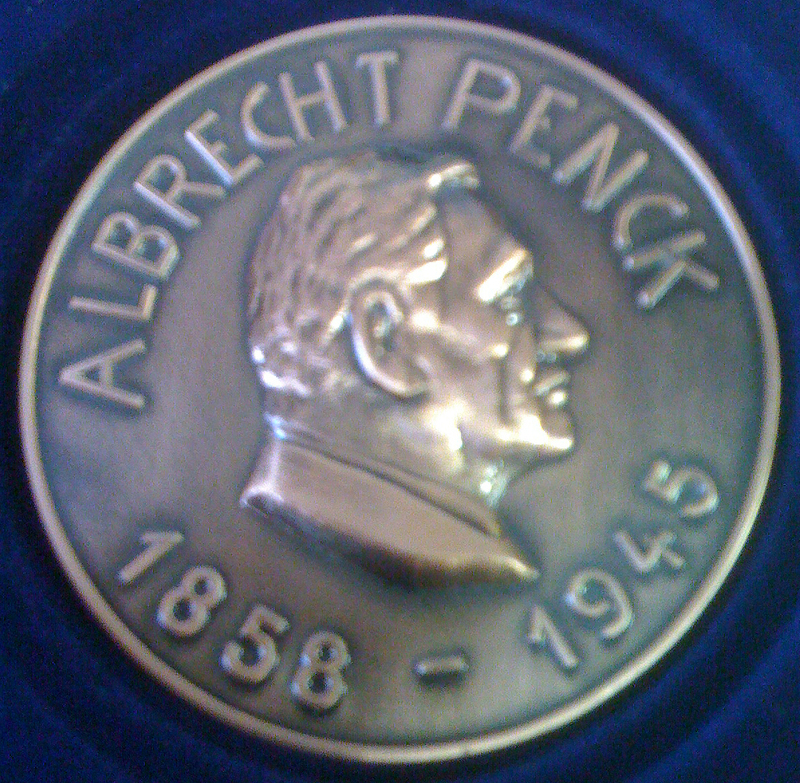 The medal was presented to Phil at the society's 2014 meeting in Ghent on 1 April 2014 by the President, Professor Sara Vandycke. 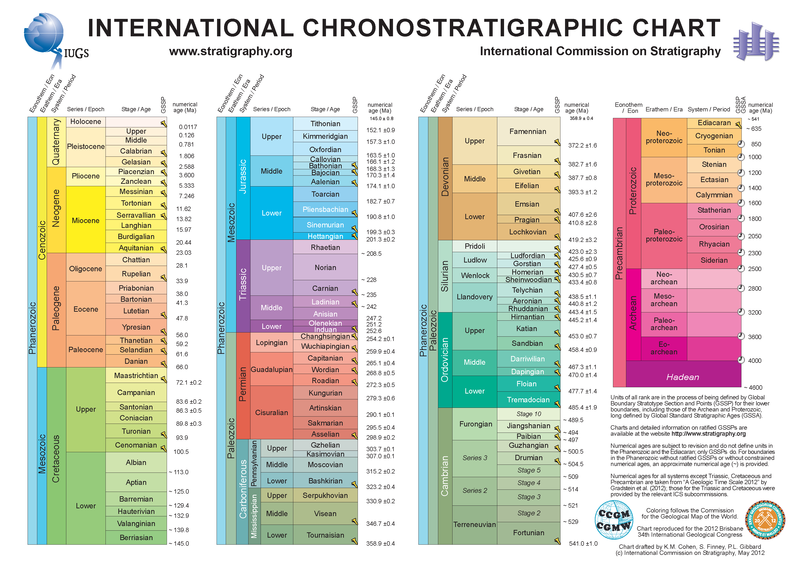 A new version of the International Chronostratigraphic Chart! 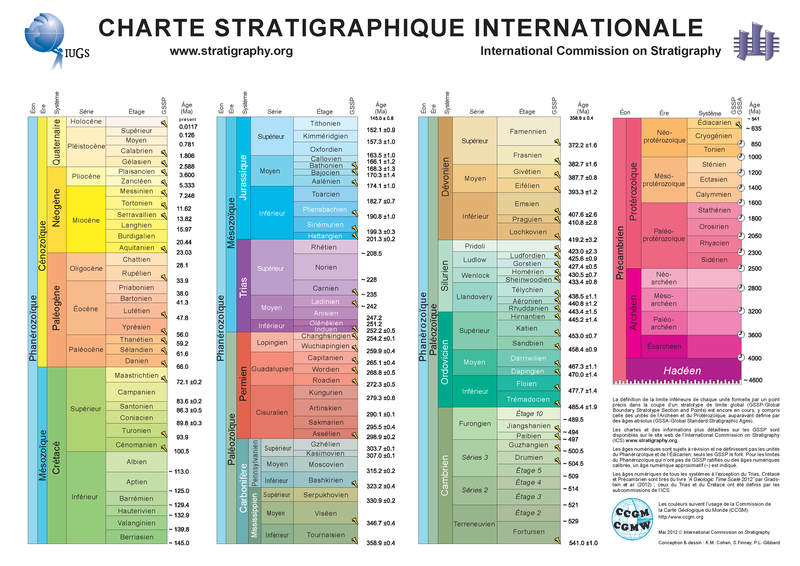 The International Commission on Stratigraphy's (ICS) Chronostratigraphic Chart has been adapted for Shell's headquarters in Den Haag, The Netherlands. Originally published in English the chart is now available in French, Chinese, Norwegian, Basque and Spanish language versions. For more views click on image. Archaeologists say that the 'Anthropocene' is here - but it began long ago. Science 340 19.04.13. Professor Phil Gibbard will be joining archaeologist Bruce Smith, from the Smithsonian Institution in Washington, USA, for a Science Live web chat discussion entitled Archaeologists say that the 'Anthropocene' is here - but it began long ago. The discussion can be viewed on the Science website and YouTube. 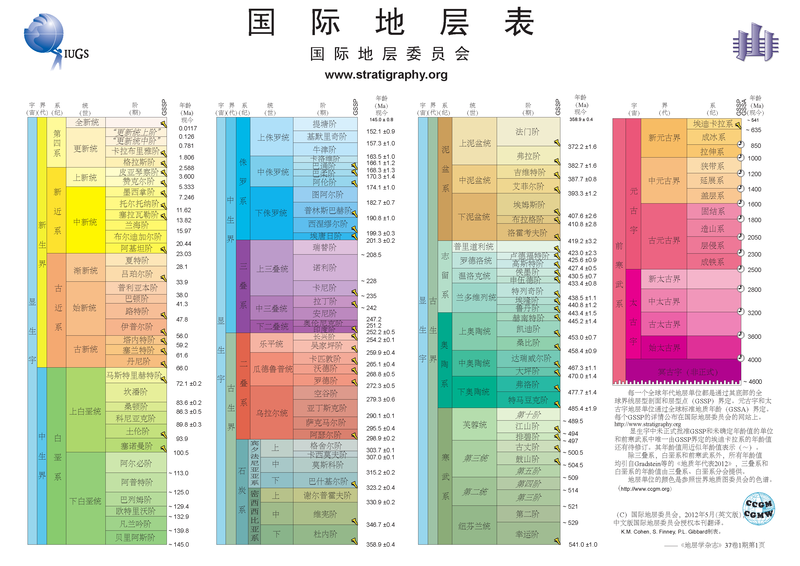 The International Commission on Stratigraphy (ICS) published a new Chronostratigraphic Chart in July 2012 at the International Geological Conference. The chart was designed and produced by S.Finney, K. Cohen and P.Gibbard. It was originally published in English but is available in French, Chinese, Norwegian, Basque and Spanish language versions (April 2013). Other language versions may be published in future. 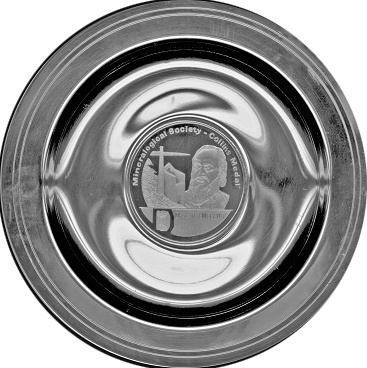 Charles Turner has been awarded the highly prestigious Albrecht Penck Medal by the Deutsche Quartärvereinigung (DEUQUA) at their 36. 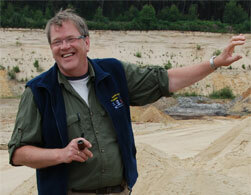 Hauptversammlung in Bayreuth in September 2012 to mark his contribution to Quaternary research. An article presenting the details of the concept of the Anthropocene and the division of geological time. (published in the August 2012 issue of the french magazine Science et Vie 2012). 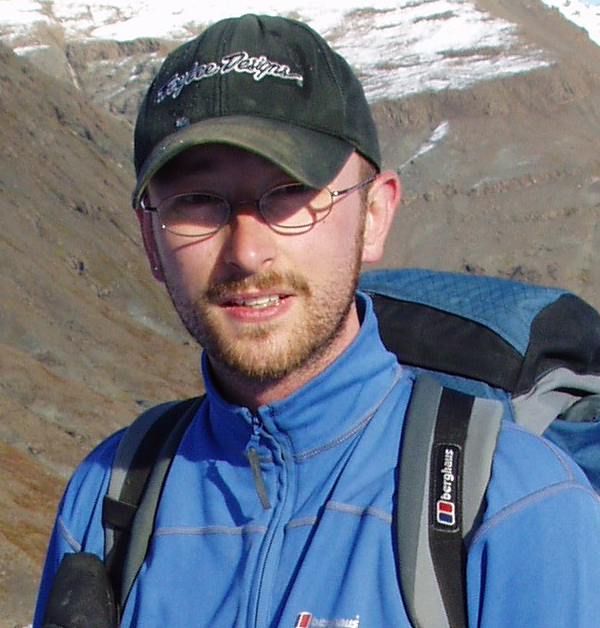 Our own Chris Jeans will be awarded the Collins Medal for 2013 by the Mineralogical Society of Great Britain and Ireland. 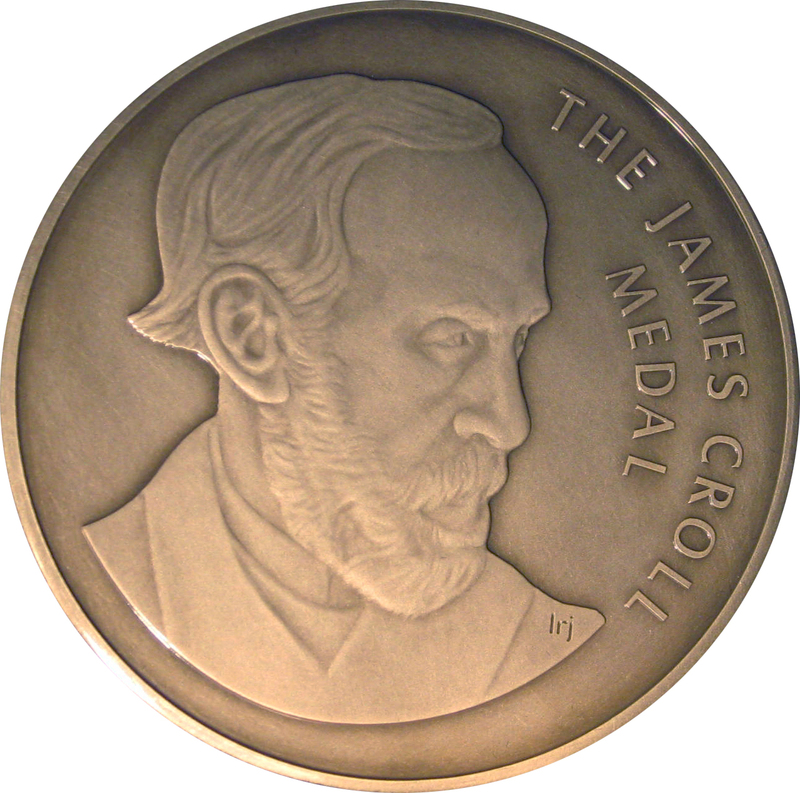 He was already made an Honorary Fellow of the Society in 2011. Clay minerals in onshore and offshore strata of the British Isles. 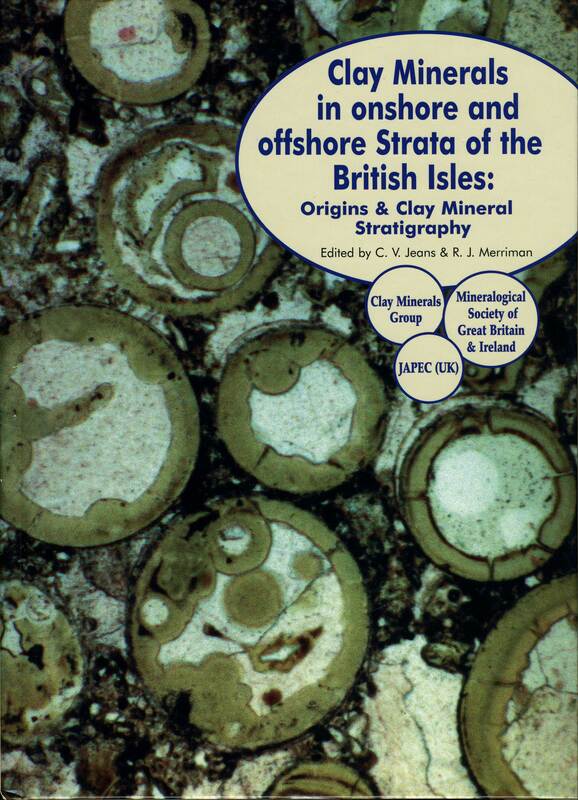 2006 (edited C.V.Jeans & R.J.Merriman) Mineralogical Society of Great Britain and Ireland, 550pp. 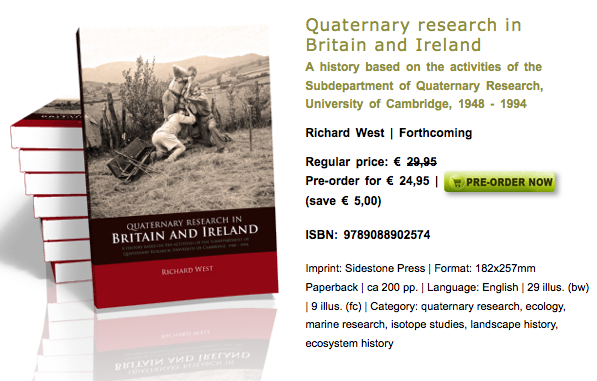 Available from the Mineralogical Society of Great Britain & Ireland. 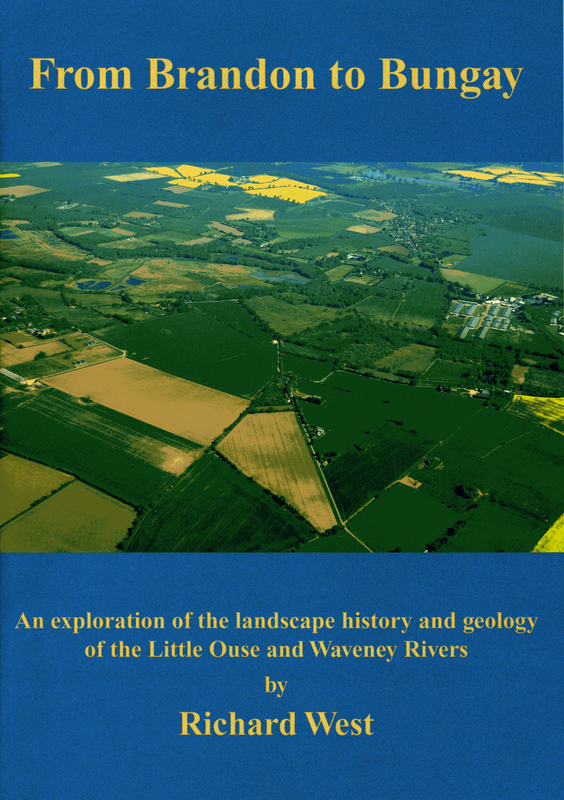 Now published - From Brandon to Bungay by Richard G. West, an exploration of the landscape history and geology of the Little Ouse and Waveney rivers on the Suffolk - Norfolk border of East Anglia. Available from Suffolk Naturalist's Trust, Ipswich. New compilation maps for the Last Glacial Maximum - compiled from the Quaternary glaciations - Extent and Chronology by Jürgen Ehlers & Philip Gibbard (see below). Click on the map below to see the new plot based on Google Earth projection. - bilingual pages Histoire Cénozoïque de la Manche/Cenozoic history of the English Channel. The Glacigenic Reservoirs Analogue Programme. click photograph for gallery. Featuring some new pictures from 12 March 2013 excursion! site archived by the British Library - UK Web Archiving Consortium.